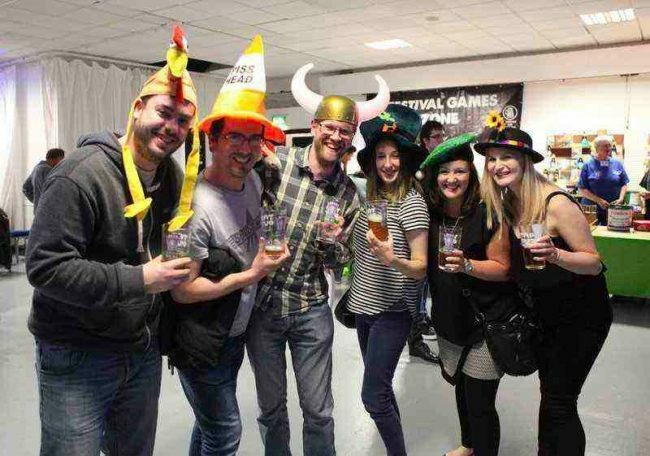 The Campaign for Real Ale (CAMRA)’s biggest showcase of more than 170 cask beers, ciders and perries from Scottish and Northern Irish breweries – plus wine, food, games and more. This will be the widest selection of beers from Scottish & Northern Irish breweries you are going to find together in one space this year. The beer and brewing scene is thriving at the moment and there is so much to try. It’s a golden opportunity to try out beer styles you might not be used to, or to track down that brewery you’ve heard good things about but never found. The quality will also be spot on if past years are to go by. You can be confident you are trying cask ale as it’s meant to taste. The main Festival Sponsor is Nicholson’s – ale and gin establishments. You can pay at the door – £6, or £4 if you are a CAMRA member. This admission fee includes a festival glass and a detailed programme with tasting notes. If you come on more than one day and bring back your glass, readmission is free.